The Olympus E-PM2 came quicker then expected. A nice surprise as I got home from work on Thursday. I popped on one of my older Pen batteries and I started shooting immediately. I started with my Panasonic 14mm f2.5 lens. The E-PM2 and this lens makes for a really compact package. Lucky was drafted in to service again. I shot at ISO 800, 1600 and 3200, indoors. Preliminary results are very encouraging. It looks like my new Olympus is at least 1 stop better in high ISO performance. Also, the color and detail seem even better than my E-P3. I now feel confident shooting at ISO 1600. No problem. My first Olympus Pen was the E-PL1. I shoot up to ISO 800 but that’s the limit. With the E-P3, ISO 800 looks even better and I use ISO 1600 in a pinch. The E-PM2 does a clean ISO 1600 and I’ll probably use ISO 3200 from time to time. And it’s more than just high ISO performance. The color seems better, richer with more depth. The details are sharper and with more resolution. This new 16MP sensor seems like a big step up. 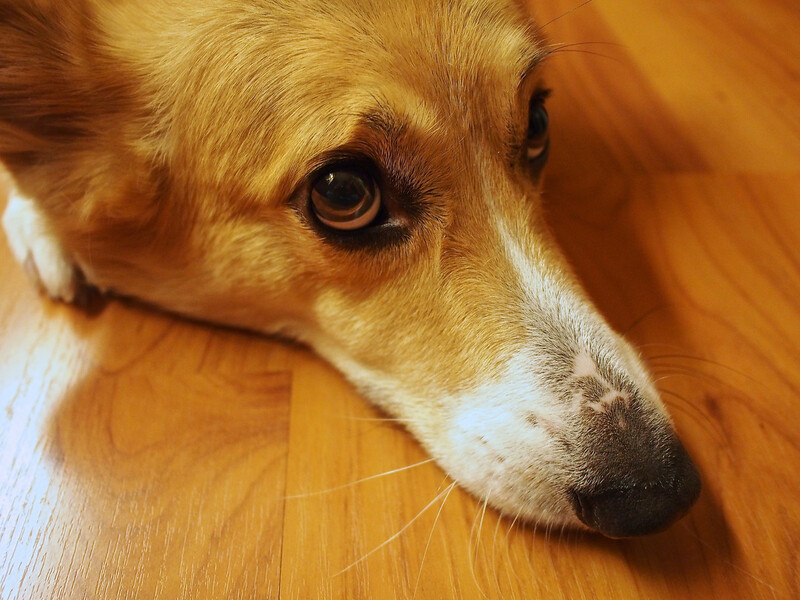 The photograph of Lucky was shot at ISO 1600 and it looks great. I’ll go downtown at night for a proper test — to do my favorite kind of photography. But so far, the new camera is living up to expectations. I can’t wait. Please make sure to click on the photograph to see a larger image and hover over the photo to see the exposure details. amazing sharpness and feel, the color really nice! I added a Canon Powershot 1200 and it’s newer but way s- l -o -w -e -r than my older, no flash anymore, Canon S-590! The 590 has done more than 70,000 images and numerous gravity tests=no flash. The 1200 has some nifty moves, Stealth, Monochrome only etc. Look forward to your night city images. Beautiful tones. ow was the white balance out of the camera on this one? Just curious. Look forward to your future shots. Shot on AWB in RAW but tweaked a bit in post. Was it on the yellowish side or the reddish side? I am trying to wrap my head around how the Oly sensors interpret things in certain situations and this is the ideal image to draw from – Libby. Libby, just looked at the original. It was more on the yellowish side. Ok thanks – things have changed for the better in the new Oly sensor generations.